LeanMode and lean-mode.com is based on stress relief and relaxation through The Art of Leaning; the simplest, most efficient, and most widely known, yet unappreciated technique of relaxation. 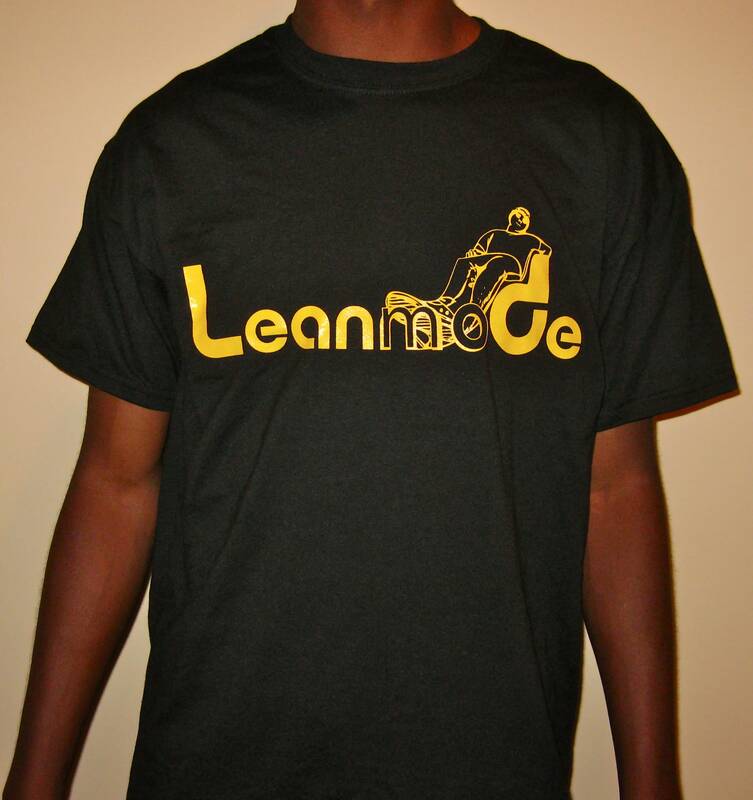 LeanMode is all about the natural route to ease stress and our t-shirts promote leaning and are meant to help people lean your own way by being themselves and doing the things they enjoy doing while relaxing. 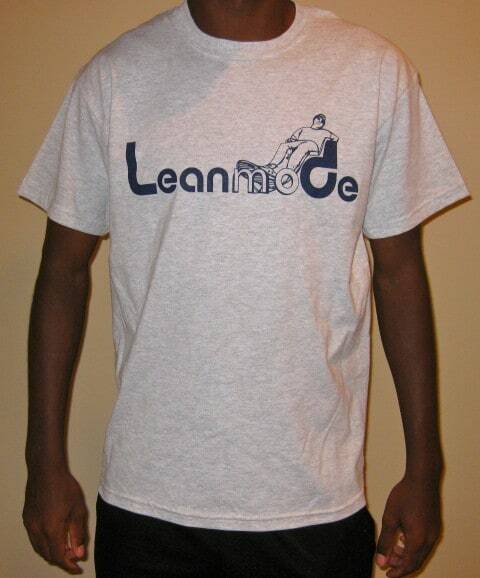 Visit our website lean-mode.com to learn more and to check out our t-shirts. Thank you and have a great day! 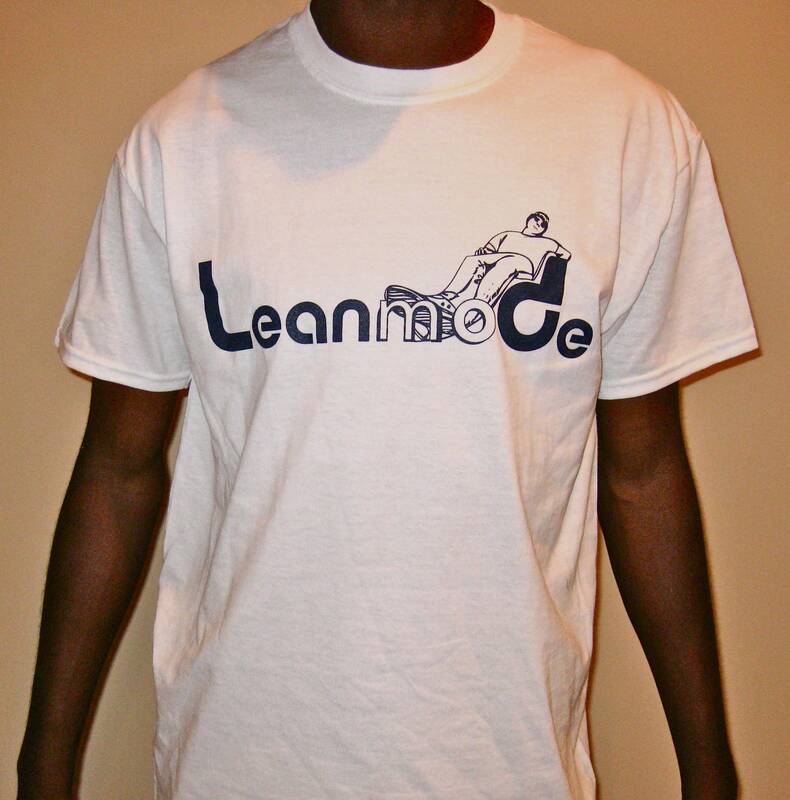 Andy: LeanMode is a website teaching people how to lean so that they can relax better, there’s even a “how to” video on the website so that people can learn to lean. 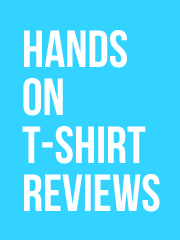 My first guess is that this is someone’s attempt to make a viral video that’s inspired by the awful how-to videos of the 90s that people would order from late night television. If that’s the case then I think that the use of a different font for the ‘M’ on the t-shirt is also intentional because no designer would ever put it there otherwise. If I’m wrong and all these is completely earnest, well, society seems fairly doomed at this point.